Yu Jin cannot be attacked with a spade attack. When Yu Jin is affected by a tool card, he can discard a hand card of the same number. The tool then does not work on him. 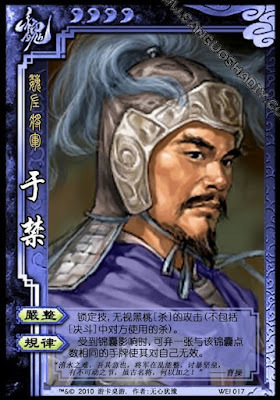 In a duel, Yu Jin's opponent can use a spade Attack.